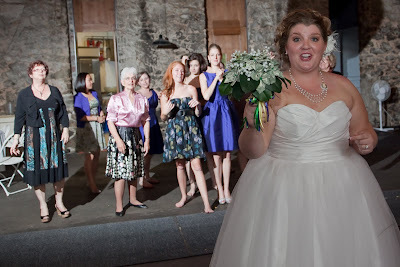 With everyone in place, I got ready to toss the bouquet. 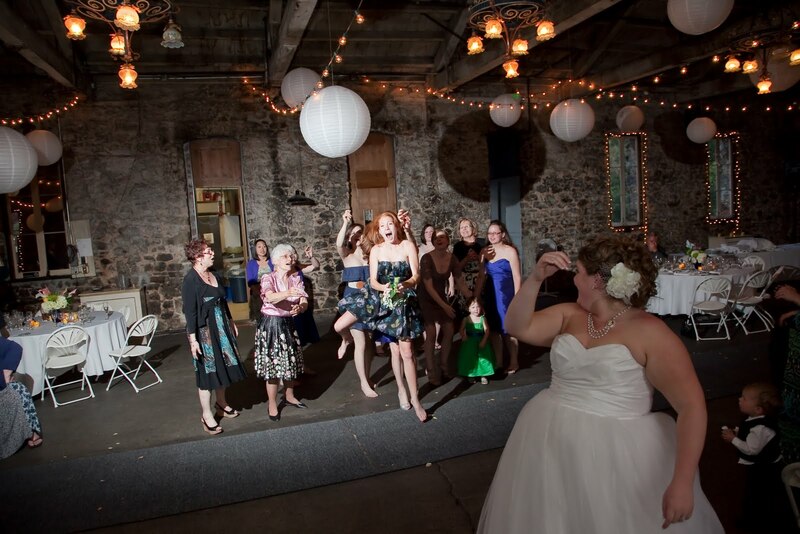 I gave one good toss, up over my head. 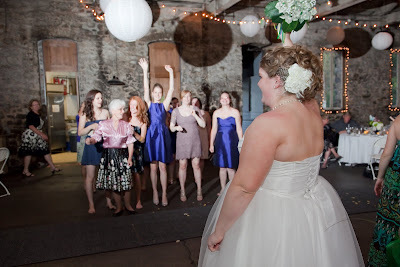 With arms outstretched, the girls stretched to catch the bouquet (and one leaped). And quickly spun around to see who the lucky lady was, just in time to see my Cousin B leaping to tackle the bouquet. 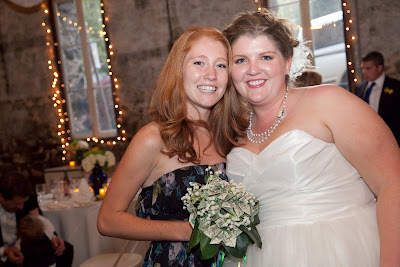 I got a picture with the lucky bouquet-catching lady, my Cousin B! 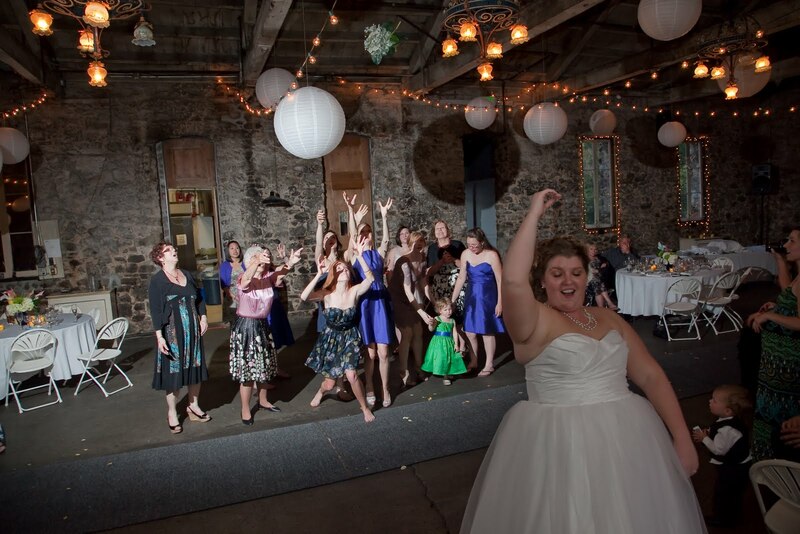 As much as we tried to encourage a little bit of the non-traditional, it seems that our guests are pretty hard-wired to stick to the script. 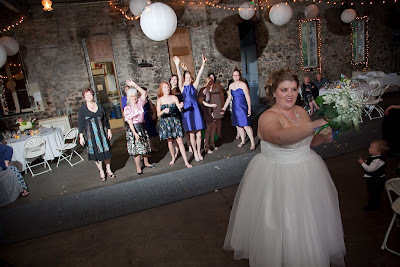 Most of the people out in the gaggle were single ladies; very few were married, and I don't think there were any men out there at all. 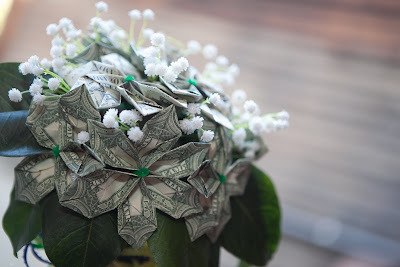 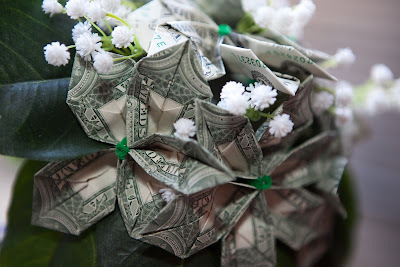 I figure it was their loss--a chance to catch a money bouquet doesn't come often! What's your opinion on the bouquet toss: Tradition Yes, or Tradition No?